The Jaame' ul-Azhar or al-Azhar Mosque was commissioned by the 14th Faatemi Imaam Ma'ad al-Mu'izz li-Deen il-Allaah (as) for the newly established capital city of Cairo. Its name is a tribute to the name of Faatimah az-Zahraa or al-Azhar, the daughter of the Prophet Mohammed (saws). Maulaana Jawhar al-Siqilli, commander of the Fatimid army started construction of the mosque in 360 AH/970 AD. 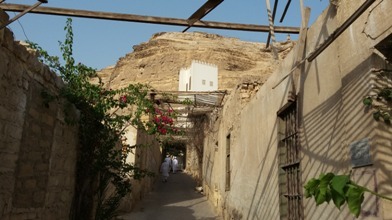 It was the first mosque established in the city. The first prayers were held there in 362 AH/972 AD, and in 379 AH/989 AD the mosque authorities hired 35 scholars, making it a teaching centre for Shia theology. 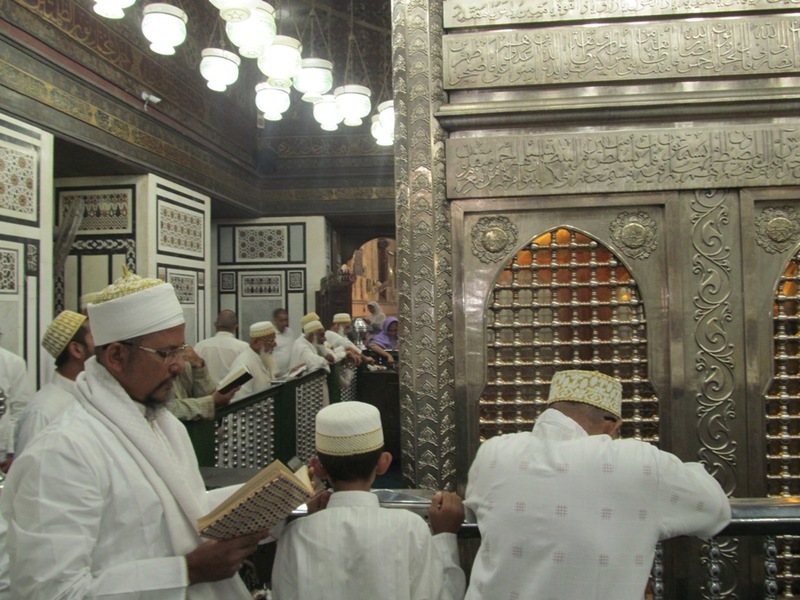 A waqf for the mosque was established by 16th Faatemi Imaam Maulaana Mansoor al-Haakim (as). 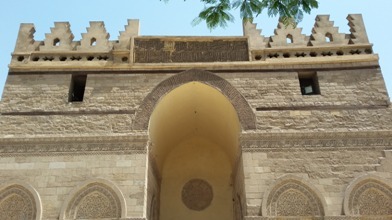 The al-Azhar Mosque in Cairo seems to have had a similar projecting entrance to the Great Mosque of Mahdiyah. The original building had an open central courtyard with three arcades. There were three domes (indicative of the location of the prayer hall), two at the corners of the qiblah wall and one over the prayer niche, and a small brick minaret over the main entrance. The gallery around the courtyard had series of columns and the prayer hall, which had the domes built over it, had five more rows of five pillars. Minor alterations were made by 16th Faatemi Imaam Maulaana Mansoor al-Haakim (as) in 399 AH/1009 AD and 20th Faatemi Imaam Maulaana Mansoor al-Aamir bi-Ahkaam-illaah (as) in 416 AH/1125 AD. The Jaame' ul-Anwar or al-Haakim Mosque is named after 16th Faatemi Imaam Maulaana Mansoor al-Haakim (as) bi-Amr-illaah (as) (386-411 AH/985–1021 AD), the third Fatimid caliph to rule in Egypt. Construction of the mosque started in 380 AH/990 AD. In 392-3 AH/1002–3 AD Imaam al-Haakim ordered completion of the building. The southern minaret has an inscription with his name and the date of 393 AH/ 1003 AD. Significant changes were made to the minarets in 400 AH/1010 AD. 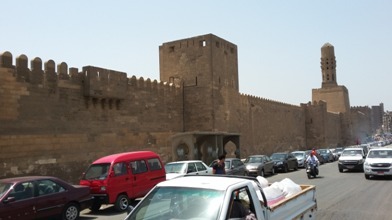 At first the mosque was outside the city walls, but when Saiyedna Badr al-Jamaali rebuilt the walls he enclosed a larger area, and the north wall of the mosque became part of the new stone city wall. The mosque was badly damaged in the 702 AH/1303 AD earthquake, and suffered further damage in later years. By the thirteenth century AH/nineteenth century AD it was ruined, but has since been reconstructed. The mosque is an irregular rectangle with four arcades that surround the courtyard. As with the Ibn Tulun mosque, the arches are pointed and rest on brick piers. It resembles the al-Azhar mosque in having three domes along the qiblah wall, one at each corner and one over the mihrab. Also like al-Azhar, the prayer hall is crossed by a transept at right angles to the qiblah. This wide and tall central aisle leading to the prayer niche borrows from the Mahdiyah mosque's design. 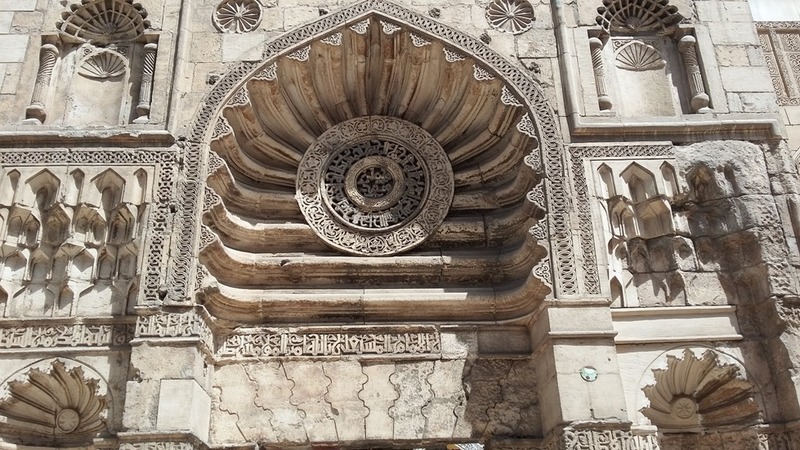 The al-Haakim mosque differs from the al-Azhar and Ibn Tulun mosques in having two stone minarets at the corners of the stone façade, which has a monumental projecting portal like the Mosque of Mahdiyah. The al-Aqmar Mosque was built during the caliphate/imaamat of 20th Faatemi Imaam Maulaana Mansoor al-Aamir bi-Ahkaam-illaah (as) (495-526 AH/1102-1132 AD). The mosque is located on north al-Mu'izz Street. It is notable for its façade, which is elaborately decorated with inscriptions and geometric carving. It is both the first mosque in Cairo to have such decoration, and also the first to have a façade which follows the line of the street, built at an angle to the rectangular hypostyle hall whose orientation is dictated by the qiblah direction. The al-Lu'lu' Mosque, located in the southern cemetery of the Moqattam hills, was built in 405-6 AH/1015–16 AD during the reign of the third Fatimid Caliph and 16th Faatemi Imaam Maulaana Mansoor al-Haakim (as) bi-Amr-illaah (as) (386-411 AH/985–1021 AD). The mosque was built on a promontory of limestone and consisted originally of a three-storey tower-like structure built over a rectangular plan. It exhibited typical aspects of the Fatimid architectural style, with portals with slight protrusions, mihrabs and qiblah walls, several domes, and columned porches with triple arches or keel-shaped arches. The mosque partially collapsed in 1336 AH/1919 AD, but was later refurbished in 1418 AH/1998 AD by the Dawoodi Bohras. The Juyushi Mosque was built by Saiyedna Badr al-Jamaali, the "Amir ul-Juyush" (Commander of Armed Forces) of the Fatimids. The mosque was completed in 478 AH/1085 AD under the guidance and patronage of the then 5th Fatimid Caliph and 18th Faatemi Imaam Maulaana Ma'ad al-Mustansir billaah (as). 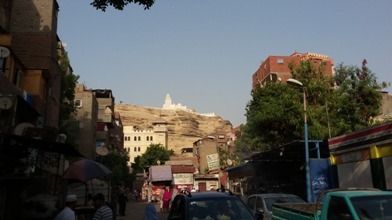 It was built on an end of the Mokattam Hills which would ensure a complete and clear view of the Cairo city. 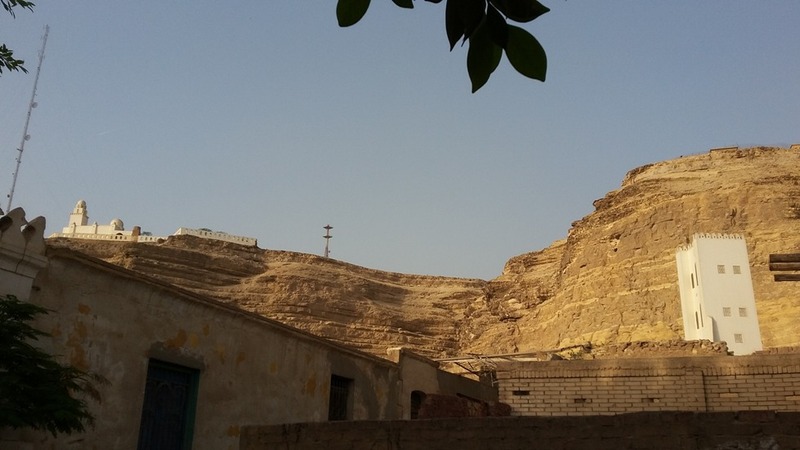 A new city wall was built around Cairo on the orders of the vizier Saiyedna Badr ul-Jamaali (467-487 AH/1074–1094 AD) during the time of 18th Faatemi Imaam Maulaana Ma'ad al-Mustansir billaah (as). Cairo had expanded beyond the original city walls. Three of the gates in the new walls have survived: Baab un-Nasr (480 AH/1087 AD), Baab ul-Futuh (480 AH/1087 AD) and Baab uz-Zuweilah (485 AH/1092 AD). Baab ul-Futuh and Baab uz-Zuweilah were built at the northern and southern ends of al-Mu'izz Street, the main axis of Fatimid Cairo. al-Jamaali, an Armenian in origin, is said to have employed Armenians from the north of Mesopotamia as well as Syrians in his extensive building works. Each gate was said to have been built by a different architect. 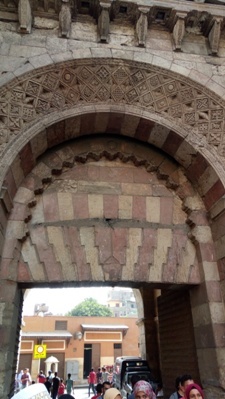 The gates have Byzantine architectural features, with little trace of the Islamic tradition. al-Jamaali preferred stone as the medium for his building works, introducing a new style into Cairo architecture. All three gates have massive towers linked by curtain walls above the passageways. They introduced architectural features new to Egypt including the pendentives that support the domes above the passageways of the Baab ul-Futuh and Baab uz-Zuweilah gates, and intersecting barrel vaults. Use of semi-circular and horizontal arches, and lack of pointed arches, represented a departure from normal Fatimid architecture, probably taken from Syrian examples, and were never widely used during the Fatimid period. The use of stone also reflects Syrian tastes. The passageways through each of the gates are 20 metres (66 ft) long, and have vaulted ceilings with hidden machicolation openings in their ceilings. An unusual feature of the wall near Baab un-Nasr is a stone latrine which appears like a balcony. The wall between Baab un-Nasr and Baab ul-Futuh contains an inscription of Quranic texts in Kufic characters. Also on the entry wall of Baab un-Nasr and its surrounding walls there is a strong association of "Mohammad" and "Ali" as they being Nabi and Wasi. Baab un-Nasr is a massive fortified gate built in 480 AH/1087 AD with rectangular stone towers. The name means "Gate of Victory". The entrance vestibule is cross-vaulted. There are two shallow domes over the upper levels of the towers. The walls are decorated with shields and swords. 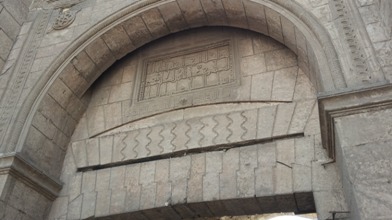 There is Kalemat ush-Shahaadah on top of the entry frame as "Laa Ilaaha illallaah, Mohammad Rasoolullaah, 'Aliyun Waliyullaah". Baab ul-Futuh is a gate in the north wall of the old city, built in 480 AH/1087 AD. 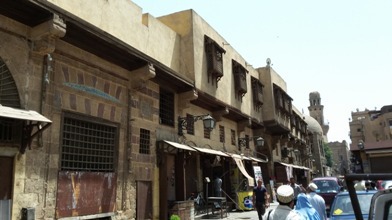 It stands at the northern end of al-Mu'izz Street. The name "Futuh" means "conquest". The gate had rounded towers, with both of their façades incorporating a design of two parallel carved lines with loops between them. No earlier use of this decorative style is known. There are carved brackets above the entrance arch, two of which have the head of a ram. This appears to be a survival of pre-Islamic symbolism. However, Fatimid arabesques decorate the brackets. al-Mu'izz Street (Shariʻ al-Mu'izz li-Deenillaah), also known as al-Mo'ez Le-din Allaah al-Fatimi Street in Islamic Cairo, Egypt is one of the oldest streets in Cairo, approximately one kilometer long. A United Nations study found it to have the greatest concentration of medieval architectural treasures in the Islamic world. The street (shariʻ in Arabic) is named for al-Mu'izz li-Deen Allaah, the 14th Imaam of the Isma'ili-Taiyebi line of succession and fourth caliph of the Fatimid dynasty. It stretches from Baab ul-Futuh in the north to Baab uz-Zuweilah in the south. The Mosque of Ibn Tulun is located in Cairo, Egypt. It is arguably the oldest mosque in the city surviving in its original form, and is the largest mosque in Cairo in terms of land area. 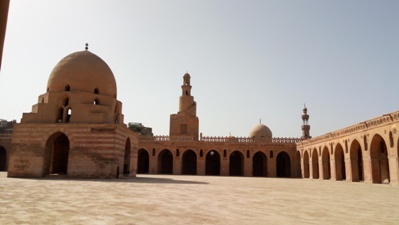 The mosque was commissioned by Ahmad ibn Tulun, the Turkic Abbassid governor of Egypt from 263-279 AH/868–884 AD whose rule was characterized by de facto independence.Tthe mosque's original inscription slab identifies the date of completion as 265 AH/879 AD. The most important thing about this mosque is the mehrab of Fatimid period on its westernmost prayer niche, the mihrab of Saiyedna Badr ul-Jamaali. It is ornately decorated in a style with influences from Persia. The Kufic inscription mentions the 18th Faatemi Imaam Maulaana al-Mustansir (as), on whose orders the niche was made, as well as the Shi'a-Isma'ili shahaadah including Ali as Allaah's wali after declaring the oneness of Allaah and the prophethood of Muhammad. 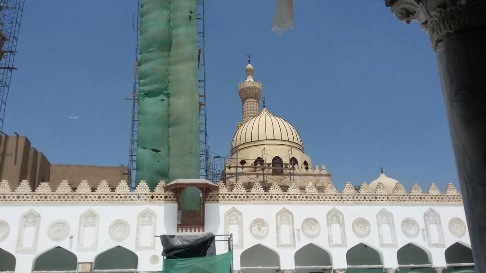 In Cairo the main ziyaarat is the Ra's Mubaarak of Saiyed ush-Shohadaa Imaam Husain (as) that was shifted at the end of 5th century AH during the imaamat of 19th Faatemi Imaam Maulaana Ahmad al-Musta'ali (as) by his Da'i al-Afzal from Asqalaan. On the right side of Ra's ul-Husain there is Baab ul-Faraadees that houses Taaboot us-Sakinah of 9 Faatemi Imaams and their Tabarrukaat. It is regarded the most holiest place of Cairo. 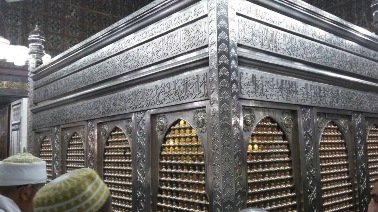 The Mashhad-Rawzah of the two sisters of Imaam Husain (as), 1. Maulaatona Zainab (wife of M. 'Abdullaah bin Ja'far at-Tayyaar) who was present in Karbalaa at the time of Shahaadat-e-Imaam Husain and 2. Maulaatona Ruqaiyah (wife of M. Muslim bin 'Aqeel who was martyred in Kufa) are situated in Cairo. Another ziyaarat is of a pious lady Maulaatona Nafisah who was the grand-daughter of Imaam Hasan (as) and was married to the son of Imaam Ja'far as-Saadiq (as). All these Saiyedaat of Ahl ul-Bayt (as) has an extraordinary spiritual power of healing and solace. The Mashhad of Maulaana Mohammad bin Abi Bakr and Maulaana Maalik al-Ushtar is located here. Both were the governors of Cairo during the Khilaafat of Ameer ul-Mumineen Maulaana 'Ali al-Murtazaa (as). Mo'awiyah hatched a ploy to kill both of them, the most trusted commanders of Maulaana ‘Ali’s army. He succeeded and they were martyred in Cairo. In Alexandria, the mosque of Daniyal Nabi and his tomb along with the Qabr Mubaarak of Luqmaan Hakeem. In the market of Attaareen, there is a beautiful mosque known as Masjid-e-Attaareen during the time of 18th Faatemi Imaam Maulaana al-Mustansir (as) and was built by Saiyedna Badr ul-Jamaali in 477 AH/1084 AD, the commander in-chief of the armed forces of Fatimids. 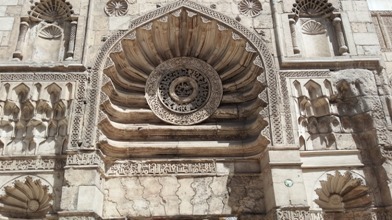 It has an explicit inscription describing the foundation and contruction of the mosque. Courtesy: The part of this page is based on the copyrighted Wikipedia article "Fatimid Architecture"
Copyright © 2017 Alavibohra.org All rights reserved. Vadodara.